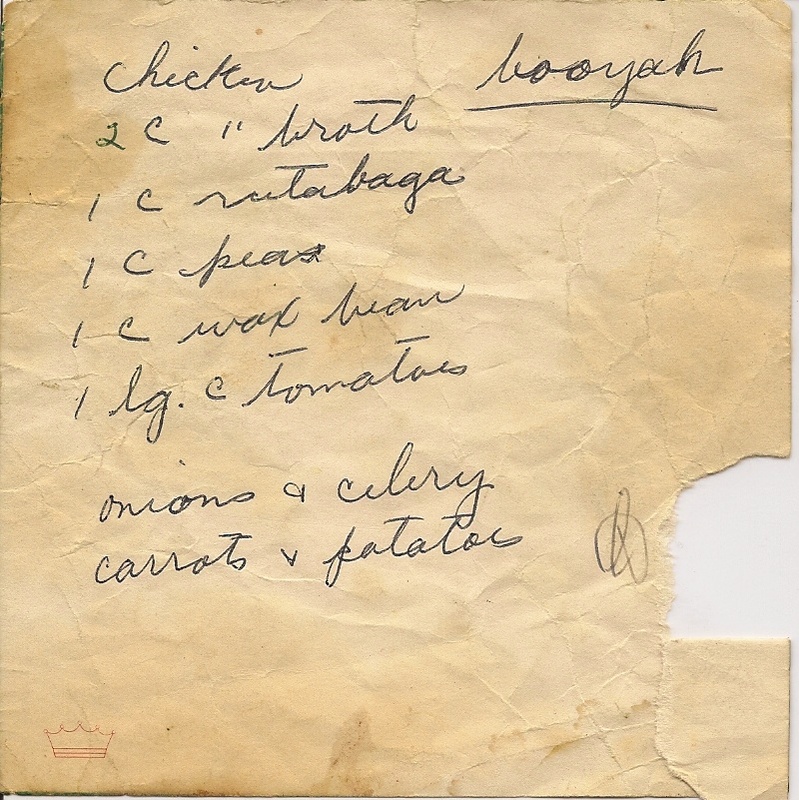 Grandma DeWitt’s Booyah Recipe | We are what we eat! Simmer for 3+ hours. Let chicken fall of the bone and continue to cook. (Remove bones before serving if desired) Serve with rice if desired. Dear Tara – This is like an amped up Chicken and dumplings (without the dumplings? Love the rutabaga in it and I will definitely fix this because it is right up my eat healthy diet alley! Will let you know how it turns out. Thank You Grandma DeWitt! 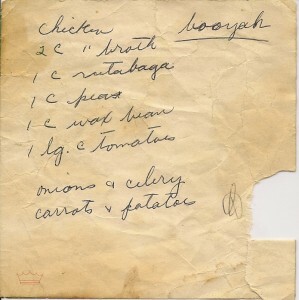 @Devaki – you know, I never thought of Booyah as healthy, but you are right. Enjoy! Thanks for always coming by!